Every once in awhile a knife just comes a long that just screams high quality. 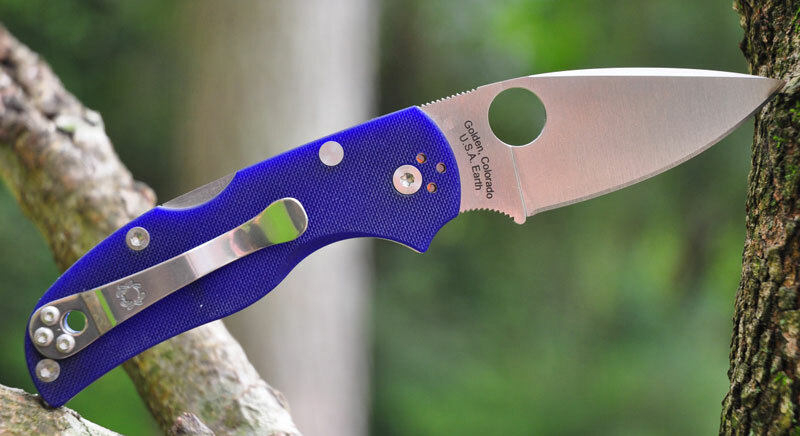 With fit and finish that rivals many customs I have seen over the years the Native 5 S110V Dark Blue G10 highlights what Spyderco’s Golden factory can really do. Throw in Crucible’s formidable CPM S110V steel in a fairly light weight compact package and what we end up with is mind blowing value in an EDC knife. 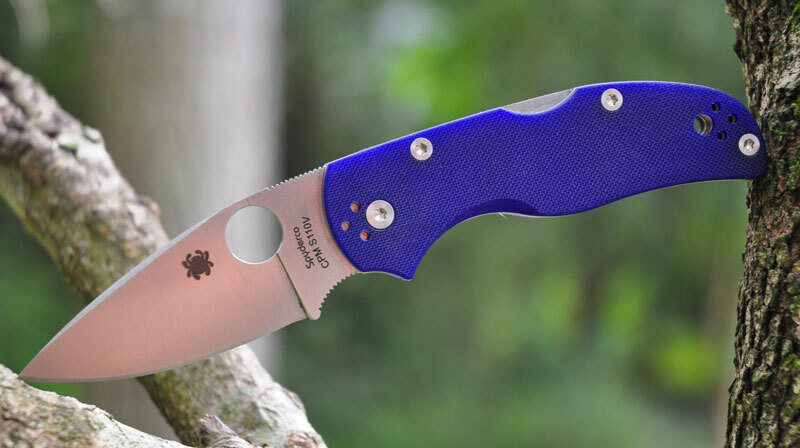 The Native 5 S110V Dark Blue G10 is part of the Spyderco’s “blurple” lineup along with the Military, Paramilitary 2 and the Manix 2. Having previously reviewed the FRN S110V Native 5 I will keep this review super short and focus on why you might choose the G10 version over the lighter and cheaper FRN. If you’re interested I also reviewed the Spyderco Military S110V which performed outstandingly. As you can see the specifications are almost the same as the FRN version except for a handful of key differences. 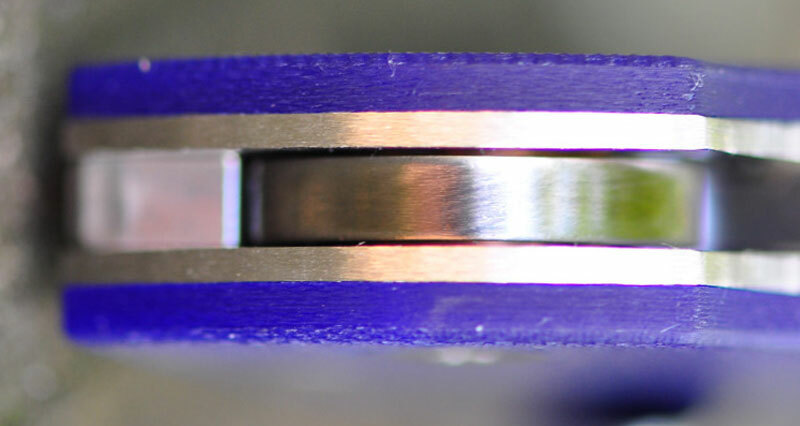 The first thing people will notice right off is the G10 handle material which looks way different than the FRN. The texture is smoother, the Dark Blue almost purple color is people friendly as it doesn’t scream tactical. In a knife world dominated by tactical black everywhere that’s refreshing to say the least. Spyderco does a nice job with the G10 texturing in a way so it’s not too aggressive on the hand while still providing good grip even when wet. The next thing we notice is the full steel liners, yes that’s right, full steel liners compared to no liners in the FRN version. They are cut out to save some weight, but they are a worthy addition and add a lot of strength. The blend of the G10 and the liners is excellent, the fit between them is so tight that it looks like one piece if steel. The drawback is the steel liners do add some weight to the knife tipping the scale to 3.7 ounces compared to the FRN version at only 2.5 ounces. The positive is the steel liners make for a heavier duty knife that can really take some abuse. 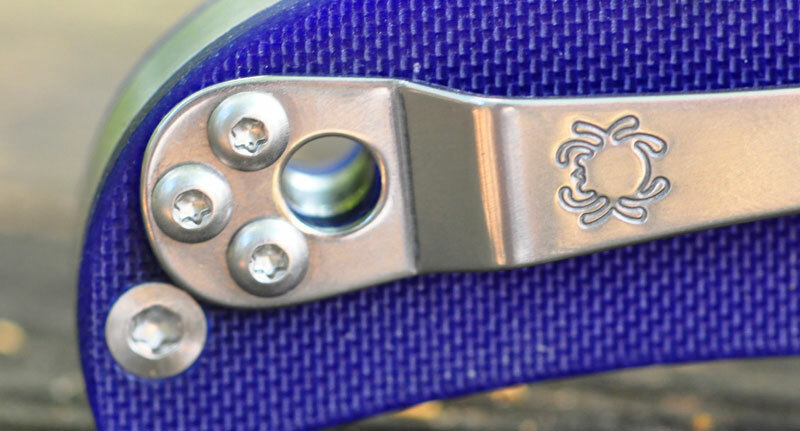 Another benefit of the steel liners is the pocket clip screws really bite into steel making them more secure and less likely to strip out. Same goes for the handle screws so it makes for a much stronger construction over the FRN version. 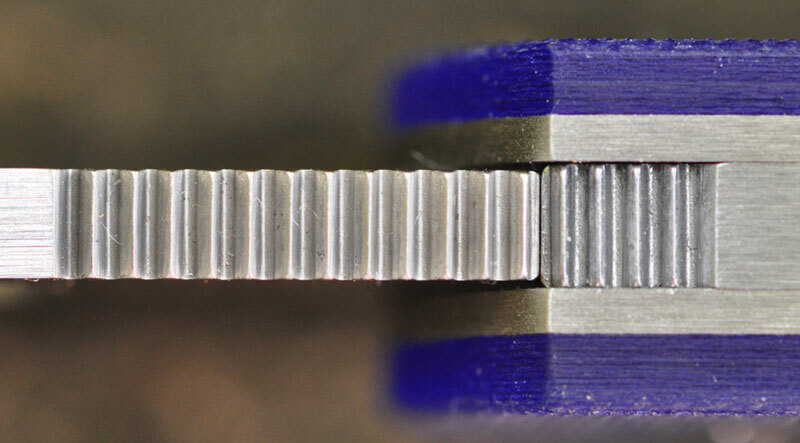 Everything is well machined and put together as Spyderco typically does with it’s US made offerings. So do you need the G10 version that is more expensive at around $150 compared to the FRN version at around $110? That depends on what you need or want in an EDC. If you want the lightest knife that is more cost friendly while still being high performance then you likely want the FRN version. However if you want a heavy duty EDC with excellent fit and finish then the G10 version might be your ticket. Overall, I don’t believe one can lose choosing either version of the Spyderco Native 5 CPM S110V…and that’s a good thing. Top notch steel and a well made G10 handle make this Native 5 a solid choice. Solid EDC choice for those wanting super steel in a sturdy package.